Every item we sell is carefully inspected before it is shipped. If you are not satisfied with the goods and inform us within seven days of your receipt of the goods, we will arrange to collect them (the whole order) and give a full refund. Or we will exchange items if they are faulty on delivery to you and we are notified within 10 days of the customer’s receipt of the product. All products to be returned must be carefully repackaged in their original packing. 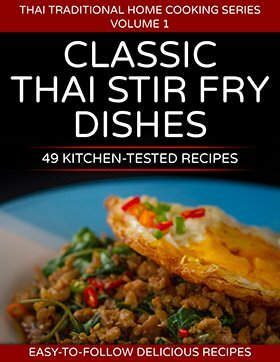 Items shipped from Thaifoodmaster.com can be returned within 30 days of receipt of shipment in most cases. Some products have different policies or requirements associated with them. Unless otherwise specified, eBooks downloads and digital products are non-refundable after purchase. Grocery and Seeds – Grocery items including seeds and sauces are non-refundable after purchase. If we should receive a complaint about any part of our service, by phone,fax,e-mail or letter, then it will be dealt with promptly (we will reply within 5 working days). It will then be dealt with confidentially, and effectively. We accept Visa, Master Card, American Express cards. We use a SSL (Secure Socket Layer) server certificate provided by PayPal E-Commerce solutions to ensure encryption all of your information transmitted during the checkout process. Our credit card processing is done through a secure connection with Paypal. eBooks are delivered immediately, for all other items, please allow 10-14 business days for shipping of your merchandise after we successfully received your payment. All orders are being shipped from Thailand using Thailand Post. Upon special request we can deliver your order using the courier of your choice. Shipping charges are calculated online on a per-order basis. Please make note of the shipping charges associated with each order. In some cases restrictions might apply. We reserve the right not to ship orders to certain countries.